Adv Shaun Abrahams, Head of the National Prosecuting Authority (NPA), noted that he had spoken to the Committee about topical cases, such as State Capture, less than a month previously and he did not want to repeat those confidences. The National Department of Public Prosecutors (NDPP) was Programme 4 of the Department of Justice. Overall, the Auditor General had expressed an Unqualified Audit Opinion on Programme 4 with one material finding on performance information reporting: There were material differences between the Asset Forfeiture Unit (AFU) National Case Register and the Annual Report in relation to Programme 4 on AFU indicators. The register had been reviewed in line with the Auditor General’s findings and adjustments were made to the Annual Report. Audit action plans were in place. 88% of targets set by the NPA were achieved in 2016/17. Ensuring that trial ready cases proceeded timeously was the primary challenge for the Criminal Justice System. The placing of too few cases on the court roll for trial resulted in an inability to utilise court hours optimally. The Compensation of Employees ratio to Goods and Services was 85:15 as the government cost reduction project had had a severe impact on the NPA and had resulted in a decline of 404 in the number of prosecutors. Skills development programmes were also scaled down. The Serious Economic Crimes Unit was important in the fight against the scourge of corruption. It had been a month since the NPA presentation on the eight-legged investigation into corruption and the DA wondered whether there had been any progress. The DA asked when the appeal hearings of the two Directors on special leave, Adv Jiba and Adv Mrwebi, would be set down in the Supreme Court of Appeal. It added that two years earlier, the Supreme Court had ordered the reinstatement of Richard Mdluli. The DA wanted to know if that case had been re-enrolled and, if not, why not. The discrepancy in figures in the Victims of Crime Survey 2017 by Statistics SA was an issue as was the fact that of 1 468 278 crime incidents experienced by households in the 2016/17, the courts managed 301 366 convictions. Court hours had decreased to three hours and 13 minutes, which was considered really alarming. The ACDP was concerned that detectives at station level were required to handle serious economic crimes because the Hawks only dealt with prioritised crimes. The ACDP commended the NPA on obtaining eight life sentences for human trafficking. The double taxation agreement with the United Arab Emirates was raised along with the lack of an extradition agreement and the NPA was requested to clarify. The ANC was delighted with the work of the NPA and commended them repeatedly. However, there was a feeling in South Africa that justice was for the rich and for white people. There was some concern about the decline in the conviction rate in violent protests and the number of Schedule 3 diversions. An important matter was people from rural areas leaving their home at 4am to go to court only to be told to return again at a later date. The ANC was concerned that there had been no movement in the PRASA case and was also interested in whether cases arising from the Truth and Reconciliation Commission had been followed up. There had been terrible killings of young children and women. There had to be a way of stopping it and the NPA was asked for statistics on convictions of such crimes. The ANC commended the NPA for ensuring that there would be no corruption and that all South African people could live in peace and without any fear. The EFF noted that corruption thrived in a culture of impunity. The culture of impunity had to be stopped in the country. The NPA should be seen to be leading the offensive against corruption. Ethical leadership and good governance should be central to the work done by the NPA. Law enforcement institutions of the state should be seen to be leading the forces against corruption and promoting ethical accountability and good leadership. The EFF hoped to see many heads rolling. The sovereignty of the country should not be sold or given away or thrown to the dogs. History would judge the NPA very favourably if they did the right thing and very harshly if they did not act. The Committee requested specific details on the additional funding requirements of the NPA for vacant posts and to facilitate the new courts in Mpumalanga and Polekwane so that the Committee could include the request for additional funding in its report to Parliament. Adv Shaun Abrahams, Head of the National Prosecuting Authority (NPA), stated that the NPA had been reported openly and honestly. He welcomed the oversight role by the Committee. The National Department of Public Prosecutors (NDPP) was Programme 4 of the Department of Justice and Correctional Services. Overall, the Auditor General had expressed an unqualified audit opinion on Programme 4 with one material finding that related to performance information reporting: There were material differences between the Asset Forfeiture Unit (AFU) National Case Register and the Annual Report in relation to Programme 4 on AFU indicators. The register had been reviewed in line with the audit findings and adjustments had been made to the Annual Report. Audit action plans were in place. 88% of targets set by the NPA were achieved in 2016/17. The targets of higher conviction rates in all levels of the system were attained. The High Courts had achieved a 91% conviction rate. The National Prosecution Service attained its targets for number of criminal cases finalised with a verdict or finalised through alternative dispute resolution mechanism (ADRM). It was disappointing to report that the average actual criminal court hours had reduced from three hours 16 minutes per day in 2015/16 to three hours and 13 minutes in 2016/17. The NPA had achieved a conviction rate against organised crime of 90%, which was on target and represented a total of 368 cases. Technically rewarding was the conclusion of 28 gang violence cases with a conviction rate of 93%, i.e. 26 convictions and two acquittals. The NPA finalised 39 cases in rhino prosecution and obtained 38 convictions. The focus on copper theft resulted in 234 convictions, 43 more than in the previous year. The conviction rate for sexual offences reached its target but the targeted 85% conviction rate in trio crimes fell 1.5% short of its target. Targets were also not achieved for the conviction rate in violent protest and industrial action, and in the conviction rate of complex commercial crimes. The NPA exceeded the target of 90 government officials convicted of corruption or offences related to corruption when it secured the conviction of 224 government officials. The targets for the number of completed forfeiture cases and the value of those cases were both exceeded. The target of zero witnesses harm threatened or killed on the witness protection programme was achieved and only 4 out of 770 witnesses left the programme which also exceeded the target set. Ensuring that trial ready cases proceeded timeously was the primary challenge for the Criminal Justice System. The placing of too few cases on the court roll for trial resulted in the inability to utilise court hours optimally according to the norms and standards issued by the Chief Justice. The implementation of pre-trial hearings was identified as a solution to minimise the remands of trial-ready cases. Budgetary constraints resulted in vacant posts not being filled, which negatively impacted on organisational operations, such as the establishment of Thuthuzela Care Centres. Premature arrests by the South African Police Service (SAPS) resulting in high withdrawal rates, was being addressed. Adv Abrahams noted that he had spoken to the Committee about topical cases less than a month previously and he did not want to repeat those confidences. Ms Hanika van Zyl, NPA CFO, presented the NDPP Budget versus the Expenditure. Actual expenditure had met the final appropriation of funds. However, the budget constraints meant that funds were redirected from Goods and Services, and Machinery and Equipment to the Compensation of Employees. The historical Compensation of Employees (CoE) Budget versus Actual Expenditure showed a variance between the Adjusted Appropriation and the Actual Expenditure of -R32 530.The CoE ratio to Goods and Services was 85:15 as the government cost reduction project had had a severe impact on the NPA and had resulted in a decline of 404 in the number of prosecutors. Skills development programmes were also scaled down. Mr W Horn (DA) asked if allocations had been made to capacitate offices in Mpumalanga and Limpopo. He was asking as the Committee needed to know whether to make any recommendations on this in the Budget Review and Recommendations Report (BRRR). The vacancies in the Serious Economic Crimes Unit were previously unfilled owing to the moratorium on the filling of posts. Was that still the case? The Serious Economic Crimes Unit was important in the fight against the scourge of corruption. It had been a month since the NPA presentation on the eight-legged investigation into corruption and he was wondering whether there had been any progress in the matter. The Head of the NPA had taken the Committee into his confidence and stated that he did not like people on social media asking where he was as he had been working. Mr Horn, therefore, wanted to know about the progress in his work. He suggested that perhaps Adv Abrahams should take South Africans into his confidence. A Senior Public Prosecutor had been taken to task by the Supreme Court of Appeal in the case of van Heerden v National Director of Public Prosecutions, therefore reflecting on Adv Abrahams, on 11 September. To avoid a matter being struck from the roll, the prosecutor had made allegations about a strategy which the judge stated had led to an unfair trial. Mr Horn noted that the withdrawal rate in the High Court was very high at 13% and asked what had led to the high rate of withdrawals and if that was why there was a high conviction rate. He asked when the appeal hearings of the two Directors on special leave, Adv Jiba and Adv Mrwebi, would be set down in the Supreme Court of Appeal. Two years earlier, the Supreme Court had ordered the reinstatement of Richard Mdluli. He wanted to know if that case had been re-enrolled and, if not, why not. Adv G Breytenbach (DA) congratulated Mr Molelle, the Special Director of Public Prosecutions in the Asset Forfeiture Unit, on his impressive results. She asked about the Victims of Crime Survey 2017 by Statistics SA which had reported a total of 1 468 278 crime incidents experienced by households in 2016/17. There were 915 928 decision dockets, including matters carried over from the previous year and the courts had managed 301 366 convictions, which was described in the report as a 94.1% conviction rate. There was a serious discrepancy in the figures. Could that please be addressed? The Victims of Crime Survey 2017 also reported a 110% spike in sexual offences against a decrease in numbers reported to Thuthuzela Care Centres as compared to previous years. Could the Committee be informed as to why that was the case? The 2016/17 Report on the Criminal Law Sexual Offences and Related Matters Amendment Act reported that only 77% of adults and 80% of children had received consultations by prosecutors before they had testified. Others had seen the prosecutor for the first time in court. Could the NPA discuss this and say what steps could be put in place to resolve the problem, if the NPA agreed that it was a problem? How many cases had the Anti-Corruption Task Team (ACTT) dealt with in 2016/17? How many were prosecuted? How many convictions had been obtained? In the report, the NPA referred to court hours having decreased to three hours and 13 minutes. That was really alarming. What had the NPA done to address the continual dwindling of court hours, which should be way higher than that? The Special Investigating Unit (SIU) reported that in 2015/16 327 matters had been reported to the NPA and in 2016/17 128 matters had been reported. What was the progress on those 415 matters? How many had been enrolled? How many had been finalised and how many convictions had been obtained? IPID reported that 508 cases had been referred between April and September 2016 but only 27 convictions had been obtained. What was the reason for the big difference in numbers? What was the current position about the fact that some Senior State Advocates earned more than the Level 4 Senior Directors? What was being done about it as it was untenable? It was the cause of great unhappiness. The Aspirant Prosecutors Programme had been a casualty of the financial constraints. While it was understandable with the financial constraints, what steps were being put in place to address this? The Head of the NPA had said that he wanted to set up an Investigating Directorate in terms of Section 28 but DPCI had not agreed. Was that correct and, if so, what steps had Adv Abrahams taken to set up the Investigating Directorate as he did not need the approval of DPCI? Had he received the document from OUTA? If he had received it, when did he receive it and what did he propose to do about it? Mr S Swart (ACDP) commended the NPA on achieving very good results under very difficult budget conditions. He explained that the Committee needed specific information about urgent needs for funds so that it could be raised when the Committee submitted its report on budgets. The Committee could perhaps motivate for funds as it was very difficult to hold the NPA accountable when the NPA was not given sufficient funds to do its work. The Specialised Commercial Crimes Unit had a number of issues but they seemed to relate more to the restructuring of SAPS. The Hawks dealt with projects and the detectives dealt with commercial work. The NPA had to assist police station level detectives in preparing cases which created a great deal more work for the NPA. What was meant by projects? Why was the decision taken to remove the commercial work from the Hawks? He commended the NPA on the Human Trafficking issue where one prosecutor had obtained eight life sentences for human trafficking. That was extremely commendable and he had mentioned it in a statement in Parliament. Human traffickers needed to know that South Africa had very harsh legislation and it was being implemented. He wished to raise the issue of State Capture. The Committee had been advised that a double taxation agreement had been entered into with UAE which benefitted people who left South Africa and prevented SARS from pursuing criminal cases there due to the double taxation agreement, but the extradition agreement had not been finalised. It was very disturbing. Why should South Africa enter into a double taxation agreement that tax experts believed went against all norms and standards? What were the implications of not having an extradition agreement with the United Arab Emirates (UAE)? Should people implicated in State Capture leave the country for the UAE and take funds with them, what mechanisms did the Head of the NPA have to deal with such a situation, including the recovery of funds? Ms M Mothapo (ANC) commended the NPA as a collective for doing such a good job under severe financial constraints. In the Annual Report, the NPA indicated that only 77% of adults and 80% of children had received consultation by a prosecutor before a court case but some only saw the prosecutor for the first time in court. Could the NPA comment on that? The decline in conviction rate in violent protests by 18% was a cause for concern. She referred to the decline of 33.5% in the number of Schedule 3 diversions. What informed that? People from rural areas had to leave their homes at 4am to go to the High Court but court was in process for only for three hours and thirteen minutes and then people were told to come back again. It was very costly and hard on indigent people. The NPA sat in the National Enhancement Efficiency Committee (NEEC) and she thought that the Head of the NPA would have raised matters such as the shortened court hours and the backlogs in the NEEC. The Provincial Prosecuting Directors should also raise the matters in the PEEC. The vacancies in the NPA were also concerning. How could the Committee assist? The NPA was highly regarded by the public and by the Committee. The Committee had been prepared to intervene in September so she wanted a follow-up. The NPA should prioritise and tell the Committee what it needed most urgently. Ms Mothapo wanted an update on the Missing Persons Task Team as well as on the perennial issues. Could the Committee have an update on PRASA as a decision was to have been taken at the end of July? She wanted an update on the progress of the National Prosecuting Academy. The audit opinion and achievement rate was also promising. The achievement of targets was commendable. The NPA was ensuring that there would no corruption so that all South African people could live in peace and without any fear. The high-profile cases were commendable, particularly the conviction of the gang in the Eastern Cape. Why had NPA not done so well in complex commercial crimes? How could the Committee ensure how the NPA could best intervene? Mr N Matiase (EFF) commended the NPA. He was disturbed about the statement by Adv Abrahams that corrupt public officials could not be corrupt on their own. He wanted the statement clarified as it could suggest to citizens that government officials were not responsible for corruption on their own. Corruption thrived in a culture of impunity. The culture of impunity had to be stopped in the country. The NPA should be seen to be leading the offensive against corruption and promoting good. Ethical leadership and good governance should be central to the work done by the NPA. Law enforcement institutions of the state should be seen to be leading the forces against corruption and promoting ethical accountability and good leadership. Kenya was still struggling with the evils of the late leader Daniel arap Moi. He hoped South Africa would not find itself in such a position in ten to fifteen years’ time. They had to fight any form of state clientelism and predatation in any form it manifested itself through the dispensation of political patronage. The NPA had to cut the umbilical cord from whichever direction it flows. The Auditor General had indicated that, unlike the DOJ&CD, the NPA was not regressing but the Committee was concerned about convictions around sexual offences. The Committee had requested a report on the National Registry of Sexual Offenders from DOJ&CD. In its next appearance, NPA had to distinguish between macro and micro level convictions. The report on misconduct and disciplinary outcomes showed that it was good to act against those who had contravened the Code of Conduct. The presentation was detailed and he hoped that the standard would be maintained. The NPA had to maintain the oath and prosecute those who needed to be prosecuted without fear or favour. The EFF hoped to see many heads rolling. The sovereignty of the country should not be sold or given away or thrown to the dogs. History would judge the NPA very favourably if they did the right thing and very harshly if they did not act. Adv L Mpumlwana (ANC) commended the NPA. There was a feeling in South Africa that justice was for the rich and for white people. It had been like that for a long time. When a white lady’s car was hijacked, a helicopter had been sent and the car was found and returned within an hour. He remembered when New Zealander visitors had been raped. Ten helicopters had hunted down the rapists and they had been sentenced within two years. He complained about the association of whites with value and blacks with no value. Prosecutors relied on police statements as they did not know what was going on, so prosecutors should work more closely together, such as going to the scene. Action had to be taken against crimes against the elderly who could not make ends meet and were robbed by young people who stole their bank cards. No one cared for their plight. He wanted to see the success of prosecution of those crimes. There needed to be training for police and public prosecutors in those crimes. He alerted the NPA to the fact Chinese ships were often anchored off the coastal areas in Coffee Bay. Adv Mpumlwana asked if the Committee could assist the NPA. There was the Truth and Reconciliation Commission (TRC) and some people had not gone to the TRC. Where were those cases rotting? TRC was like a staged thing. They had tried to be very kind and let people come but some did not come and others did not make full statements. Was there a way of checking on those who had not got amnesty? Was there no movement towards prosecution? The Chairperson was pleased to see that the conviction rate of copper thieves was increasing. Copper theft to the value of R17 million was recently discovered in Ekurhuleni. It was unacceptable for South Africans to do business with goods stolen from the State. People who protested need to know that they had to protest peacefully. The violence and looting had to be dealt with or the country would end up in a state of anarchy. The Committee congratulated the NPA on the unqualified audit. The NPA was seeking “independent” status, which had been the status previously but the NPA had been taken back in to the Department because there had been issues with the NPA audit. The NPA had to remember that it had not got a clean audit when it was on its own. In future, the NPA needed to produce statistics on corruption in state institutions. People could not be expected to do favours before they received service across the counter in government departments. How many government officials were using the very same counter that provided them with a job to engage in corruption? Statistics about violence against women and children needed to be provided. There had been terrible killings of young children and women. There had to be a way of stopping it. Was there a category for gender-based violence which would show whether the cases had been successfully prosecuted and if not, why not? The Committee understood that the NPA relied on SAPS for the investigation. If the Committee had the full picture, it would know how to engage SAPS. Another area requiring attention was the remand detainees. The correctional centres were overflowing and part of the reason was that the prosecution pace was so slow. Reports showing what efforts the NPA was putting into the matter were necessary in order for the Committee to know what the NPA was doing to reduce the number of detainees in the remand centres. It was becoming too expensive for the country to accommodate those numbers in the centres. She pointed out that the figures in the last bullet on Slide 17 of the presentation did not balance. Adv Abrahams thanked the Committee for their kind words and their wisdom in assisting the NPA to provide a more effective service. He welcomed their oversight. He responded to Mr Horn’s question about the offices in Mpumalanga and Limpopo, explaining that before the Limpopo High Court had been built, the Office of Public Protector in Pretoria had established a satellite office in Limpopo to facilitate the introduction of the new court. The same process had been followed in the case of Mpumalanga which was to receive a High Court and staff had already been located to Mpumalanga. However, more staff would be needed. The changes in boundaries in Johannesburg, Pretoria, North West and the Northern Cape, and ultimately the Eastern Cape, meant that staff would have to be moved as a result of operational requirements. The Optimisation Project would see staff moved from offices in Pretoria to where their expertise was required in the lower courts. The process would also have to be rolled out to the regions and to special directorates. Personal circumstances would be taken into consideration. There were staff shortfalls in Limpopo and Mpumalanga. The NPA could not have staff sitting in the national offices where the work distribution was unequal when their expertise was urgently needed in the lower courts where there were vacancies. That was the reality and the NPA needed to tighten its belt. 46 positions previously advertised would be filled by people who had to move in order to fill critical vacancies. Adv Abrahams had a meeting with National Treasury the following week to discuss matters of personnel and the consequent financial implications. The Department was short of R250 million in the immediate period. The NPA, of course, needed much more funding but that would become clear when he spoke of other projects. There would be further calls for additional funding. The Special Commercial Crime Unit (SCCU) was required to deal with economic crimes and corruption but many of the staff required to fill vacancies would have to come from the SCCU, so more money would be needed there. Less than a month ago, he had taken the country into his confidence about State Capture and the investigations into State Capture were making progress. One of the eight legs was at an advanced stage. In due course, the Committee would see that work was being done. He was unable to tell Mr Horn more at that stage. The van Heerden matter in the Supreme Court of Appeal had caused him to be deeply disturbed when he had read the judgement and had referred the matter to his team. The matter was being investigated. The Director of Public Prosecutions in the Western Cape had also decided upon an investigation into the matter but he had determined that it would be a national investigation. The prosecutor who had actually committed the misstatement had been appointed as a magistrate but he would contact the Magistrates’ Commission about the conduct of the individual, once investigation was complete. He agreed that matters should never get to the High Court and be withdrawn. Reasons for withdrawal might be due to witnesses becoming unavailable, but not about evidential problems. No date had been obtained from the Supreme Court of Appeal on the matter of Advocates Jiba and Mrwebi. The Head of the NPA had sent letters to various National Commissioners of Police regarding the Mdluli matter. The issue was with Crime Intelligence and the prosecuting team. They were looking at the declassification of the documents. The matter had been struck from the roll because the documents had not been declassified, even though the prosecutors had known about the matter. The previous Acting National Commissioner had issued a directive that there should be consultation and agreed that there should be declassification of the documents. The issue of prosecutors not consulting with sexual offence witnesses was a problem. The NPA encouraged prosecutors to meet with witnesses. With the current underutilisation of court hours, witnesses should never be meeting prosecutors for the first time in a courtroom and the NPA would look into this. It was an unacceptable practice. He did not have the figures on the number of cases dealt with by the ACTT and would respond in writing. The low hours of court time had to be addressed at various levels in the Efficiency Enhancement meetings. The matter would be raised with the police but it had to be recognised that the judiciary was responsible for placing matters on the court roll and determining how many were set out for trial on a daily basis. The NPA was not to blame as it was a general challenge in the judiciary system. The Office of the Chief Justice should be required to explain why this was happening. The Special Investigating Unit (SIU) statistics would be submitted in writing. The NPA had had a meeting with IPID to discuss joint collaboration. IPID had raised questions about cases at the meeting at which the NPA had wanted to discuss high level collaboration. The NPA had raised the issue of statistics which did not reflect how many cases had been withdrawn and therefore did not reflect the correct situation. The statistics also did not reflect the number of cases that had been sent back for further investigation. The NPA had agreed to enter into a Memorandum of Understanding with IPID that would address some of the concerns about joint collaboration between NPA and IPID. Salary issues were a massive concern. They were almost at the final stage of addressing it. The NPA had created a framework for linking all prosecutor salaries to the National Director’s. The National Director’s salary could not be less than that of a judge at the Supreme Court of Appeal and all the perks that accompanied such a position. The Deputy National Director’s salary was capped at 85% of the Director’s salary. Prosecutors were paid according to a different sector which had created the discrepancy. The NPA would discuss it with the Minister of Justice and Correctional Services who would have to discuss it with the Minister of Public Service and the Minister of Finance. The Director was to have a meeting with the Minister the following week. Unless it was addressed in a structured way, the problem with salaries would repeat itself. The NPA had worked tirelessly to resolve the issue. Adv Breytenbach asked if there was a timeframe for the process. Adv Abrahams responded that he would address it with the Minister in the meeting the following week but he could not give a timeframe as to when the matter would be concluded as it would largely be dependent on the Minister’s decision. He would, however, send out a communication on the process as soon as he was able to. The Chairperson stated that the answer would not lie in that Committee as the answer had to do with the Public Service Commission so the matter had to be directed by the Minister but the NPA was requested to inform this Committee of the outcome. Adv Abrahams said that the NPA had ended the project for aspirant prosecutors but had created the National Public Prosecutor Academy and would give effect to the structure from 1 April 2018. The head of the Academy would be responsible for the Aspirant Programme and all other training for both professional and non-professional staff. The NPA had confidence in the person appointed to head the Academy as he had vast experience and his heart and mind was in the right place. He was convinced the Academy was the future of the NPA. On the Section 28 investigations, he had had engagements with the Hawks and had consulted with his team. Decisions had been taken that would come to the fore within the next few days. He was reluctant to respond directly to the Committee at that stage. The OUTA report had been referred to the Head of the SCCU who had assigned prosecutors. They were working with the Hawks as it was part of the State Capture process. Adv Abrahams responded about prosecutor-guided investigations. The process started when the investigating officer called a prosecutor at an appropriate level. It also started when a docket arrived at a magistrate’s office, or at any of the Deputy Public Prosecutor’s offices, and guidance was given to the investigators. It was a strict methodology used by SCCU, organised crime units etc. but prosecutor-guided investigations were not projects. They occurred in the conduct of ordinary investigations. He could not say why the Commercial Crimes Unit at SAPS was not handling those matters but he would engage with SAPS during their structured meetings. On the question about the extradition treaty and state capture and corruption, Adv Abrahams stated that South Africa did not need a treaty to extradite anyone anywhere in the world as the country had an Extradition Act. The treaty or agreement simply facilitated the extradition. They could also effect the arrest of individuals via Interpol. South Africa had co-operated with the Israeli government in the Bobroff matter of extradition. There was also cooperation with the Australian authorities and other authorities. He understood the challenges faced by witnesses who had to travel from afar. The High Courts also sat as a circuit court to allow for access, depending on the cases. He could engage with the Department of Justice if Ms Mothapo provided more information. He noted that witness fees and transport fees were paid to overcome some of the challenges. The backlogs in cases had been discussed at various levels. The screening processes had led to some of the successes on which the NPA had been congratulated. They were working to bring down the backlog. How to help the NPA regarding critical vacancies? The NPA needed additional funds – R250 million immediately. If the NPA wanted to do better before the following year’s report, it needed the resources to improve. The Missing Persons Task Team was doing sterling work. In response to the missing persons cases, he stated that they were working on TRC and older missing persons. In the Simelane case, the NPA had decided that four policemen should face prosecution but those persons were trying to get the Minister of Police to pay for their court case as they were policemen at the time. The NPA had decided to investigate the Ahmed Timol case and the investigation had gone well. They were considering looking into the Neil Aggett matter. TRC matters needed a decision by the Head of NPA. A number of other TRC cases were going to be investigated. Adv Abrahams was keen to report to the Committee on a quarterly basis and hoped that when he reported at the next quarterly meeting, he would be able to provide further information about TRC matters and the Missing Persons Task Team as he did not have all the figures before him. He pointed out that the NPA had not made a promise to the Committee on the PRASA matter as the team had received over 63 lever arch files on the PRASA matter and so had been working through those since the last time he had met with the Committee. He agreed with Mr Matiase that corrupt persons had to be brought to book regardless of their standing in life. He explained that what he had said in his introduction was that Hong Kong had spent 40 years dealing with the matter but South Africa did not have 40 years. He had stated that corrupt officials had to be brought to book but there were always other involved with them as other people were also responsible for corruption. Every person had to be brought to book. Statistics for micro and macro convictions could be compiled and presented to the Committee and they would show exactly how serious the NPA was in its fight against corruption. It was unacceptable for the little fish to be prosecuted and for the big fish to get away with it. He would come back to the Committee and explain exactly what had been done and what the NPA was doing. He reminded everyone that people should not be convicted in the court of public opinion. He informed the Committee that no one would be spared and even a prosecutor from the NPA had been convicted and sentenced in Johannesburg to serve a term of imprisonment of period of ten years, with three years suspended. In response to Adv Mpumlwana’s points, he noted the feeling that Black people believed that justice was for the rich and for white people. The NPA did not have that opinion and would ensure that that perception would not be associated with the NPA. The SCCU dealt with the prosecution of crimes against the elderly, especially involving the theft of pension money. The NPA would look at the concern about vessels off Coffee Bay poaching abalone, although he suspected that the ship would have sailed after Adv Mpumlwana had spoken. The NPA had noted the Chairperson’s comments and would take them into consideration going forward, as well as the issues around statistics. The NPA welcomed the input and guidance. His colleagues would speak to the remaining issues. Adv Malini Govender, Acting Senior Deputy Public Prosecutor (SCCU), responded to the matters on the restructuring of the Hawks as well as the vacancies that had impacted on the conviction rate and the finalisation of cases. The SCCU had initially worked closely with the Hawks in dealing with low and medium complexity economic crimes. The Directorate of Special Operations (DSC/Scorpions) had previously dealt with more complex matters. The Directorate for Priority Crimes Investigation (DPCI/Hawks) had taken over from the DSO but had a case selection criteria and if a case did not fall within that criteria or was not a priority crime, the case was returned to station level and so cases of low and medium levels of complexity were being dealt with by detectives at station level. A major amount of work that did not qualify as being project-driven cases, major case investigations, or priority crimes, had, since 2009, been coming to the NPA. Involvement by the DPCI had been decreasing year-on-year. Those particular complex economic cases took longer to investigate and once the cases got onto the court roll, they took longer to finalise. They were often highly litigated upon. The Chairperson interjected stating that it was getting late and that most Members relied on public transport and therefore she requested that the NPA wrap up within 10 minutes. Areas not responded to would be responded to in writing. 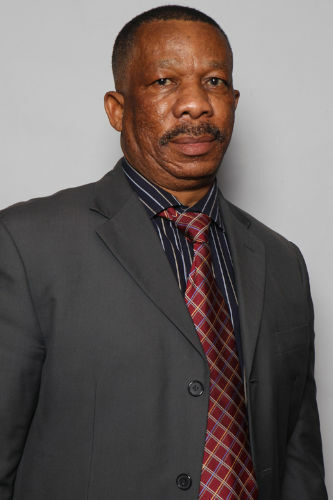 Adv Abrahams stated that they would respond in writing on matters relating to the SCCU and the National Prosecuting Service (NPS) but Dr Silas Ramaite, Deputy National Director of Public Prosecutions (DNDPP), who was responsible for budgets, would quickly give input on budget issues. He asked the Committee to note that for a number of years the NPA had had a clean audit and that the qualified audits had been from a different period. Dr Ramaite responded to the question from the Committee as to what the NPA needed. He presented the immediate needs. To pay warm bodies in 2017/18, the NPA needed R71 million; aspirant prosecutors required R27.2 million; and for Polekwane and Mpumalanga, R38 million was required, totalling R133 million. 239 critical posts had to be filled, excluding the 46 posts that had been filled, and for that an additional R135 million was required. Then there were presidential appointments to be made, for example a Special Director in the Office of the National Director, totalling five posts and costing R10.4 million. The 14 posts for the new unit to deal with specialised crime came to R12 million. All-in-all, the NPA required R291 million in 2017/18, R475 million in 2018/19 and R518 million in 3019/20, which made it R1.284 billion for the MTEF period. Adv Abrahams thanked the Committee for its support, guidance and the professional way the meeting had been conducted.